Human body is made up of 60% water and day-to-day routines deplete this valuable resource which needs to be replenished. Drink a minimum of 8 glasses of water every day – more is obviously better. Having adequate water content in the body will keep your internal organs hydrated as well as in good working condition. Additionally, it can help your digestive system run smoothly and stop bowel irregularity. Last but not least, it’ll help your actual skin look flexible, vibrant and supple by keeping it hydrated and flushing out wastes from the body. Every person has stress in their life, and if you learn to manage it, then you’ll find your life is a way better. Researches reveal that mental stress speeds up the aging process. When you’re stressed out, you lose the body’s natural balance which in turn causes damage to bodily hormone secretion, cell-repair, and collagen generation. There are many ways for you to reduce the mental stress. You can divert your attention to various things like doing exercises, in order to relieve stress. Yoga, deep breathing and meditation can cut down stress, boost oxygen and blood flow and improve energy level. 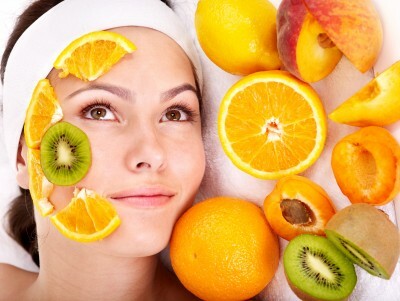 Make your own facial mask with the fruit of your liking. 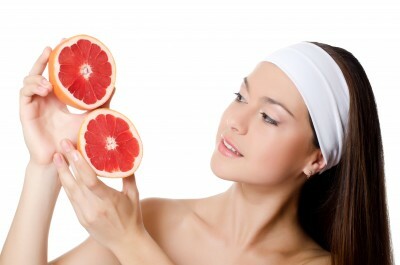 You can smear some papaya mix on your face. The fruit enzyme, called papain, exfoliates dried-out skin and reduces melanin deposition. Or rub a sliced strawberry that’s infused with plenty of beta carotene and vitamin-A to aid in regeneration of collagen. Natural aloe-vera is yet another best homemade anti-aging skin care solution which you can use to get rid of facial lines, wrinkles and slow down aging naturally. This all-natural anti-aging skin care ingredient is of course soothing and healing, and is effective when combined with other remedies as well. Exercise is apparently an integral step in any skincare regimen. Physical exercise will help maintain muscle-tone and flexibility as you get older and also improve overall health and fitness, help protect against heart problems, and help you stay look and feel younger. Exercise will enhance the blood flow throughout the body which can even help keep your brain fit. A convenient way of getting the required workout is to take up walking. Going for walks is an excellent cardio-vascular activity and is proved to be life-extending. You should stick to a well-balanced diet plan with the majority of your foods being vegetables and fruit. Stay away from red meat or beef and stick to seafood if possible. Say goodbye to the white bread and choose whole grain products. The fruits and vegetables provide your body with vital anti-oxidants that fight free-radicals which are a contributing factor to age-related illness and diseases. Eating healthily will help you look and feel better and provide you with tons of energy in order to do all those stuffs you loved to do.